Project a better image. As a sales professional, executive manager, corporate trainer or field application engineer presenting to a key audience, everything needs to run smoothly. But in the real world, this isn’t always the case. Imagine arriving at your meeting, only to discover that the on-site projector isn’t functioning properly, a bulb is burned out, the right cables are missing—or that a projector isn’t even available in the first place. Hauling around your own standard-sized projector isn’t always practical, especially with today’s carry-on restrictions and short flight connection times. At this point, you can either reschedule the presentation and run the risk of losing your customers’ interest (and your investment in traveling there), or simply crowd them around your notebook’s screen to view—a less-than-ideal option that may come across as unprofessional and unprepared. Fortunately, HP offers you a different, more attractive alternative: the HP Notebook Projection Companion. 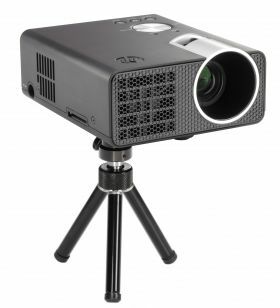 Compatible with HP Business and Consumer Notebook PCs and other notebooks with a VGA connection, this ultra-portable accessory is powerful and durable enough to serve as your primary projector when giving presentations or as a backup while on the road. It’s also flexible enough for use in other areas such as education, especially in situations where a group of graduate students want to share their research and work collaboratively on projects, or where educators in the classroom want to use it in conjunction with a digital whiteboard to enhance the learning experience. Designed for use in smaller settings where a handful of people are present, the HP Notebook Projection Companion is the ideal notebook accessory for highly mobile users who want to make a big impression with a device that’s anything but big. With dimensions of just 3.6 x 1.6 x 4.4 inches (9.3 x 4.0 x 11.1 cm) and weighing less than a pound (.9 lb./.42 kg), this remarkably compact projector fits easily inside your notebook carrying case for the utmost in portability. For even greater convenience, the projector’s AC adapter is the same as an HP notebook adapter, so you can travel with only one adapter—or if it gets lost, you can simply replace it by purchasing a standard HP 65W Smart AC Adapter. What’ll really impress your audience, however, are the sharp images, crisp text and vibrant colors of your presentation—all brought to life by the innovative DLP technology found inside the HP Notebook Projection Companion. DLP technology utilizes light more accurately and efficiently to deliver ultra-precise details, bright saturated colors and extraordinarily true-tolife images. Connecting to your notebook’s VGA output via a proprietary signal-in connector, the HP Notebook Projection Companion also knows how to really light up the room. Boasting 858 x 600 SVGA native resolution and a maximum brightness of 100 lumens that won’t leave you standing in the dark during your presentations, this handy notebook accessory projects bold and bright images that literally leap off the screen, even in moderate ambient light. 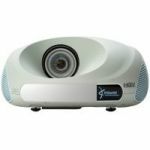 And with an LED light source that offers up to 10,000 hours—up to five years—of usage life, your presentations can light up the room for years to come. 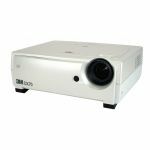 As for image size, don’t let the projector’s small size fool you—from a distance of 8.5 feet, it can project an image up to 60 inches. 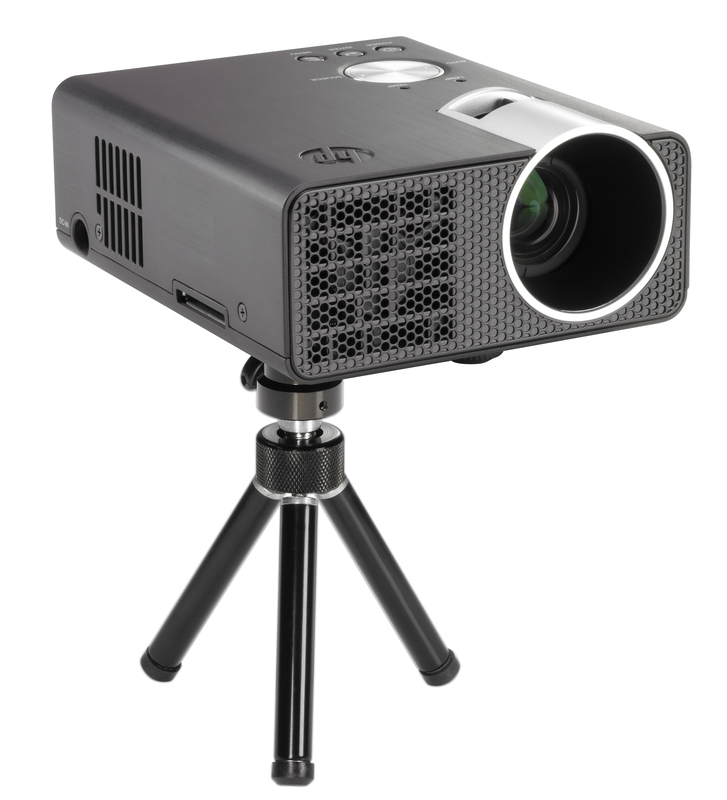 And with a convenient threaded hole on the bottom and expandable tripod, you can position the projector to optimize viewing. For presentations in smaller, intimate settings, the HP Notebook Projection Companion is sure to make a big—and lasting—impression on your audience. In addition to its convenient size and superb image quality, the HP Notebook Projection Companion also offers a lower total cost of ownership (TCO) than competing solutions. 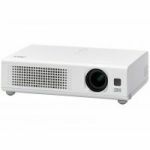 Because the projector features an LED light source with up to 10,000 hours of usage life (up to five years of typical use), there are seldom any bulbs to buy or parts to replace—the initial purchase price of the projector is your only cost. Compare this to bulb-based projection solutions, which typically need bulbs replaced every year. With the HP Notebook Projection Companion, not only are you saving money on replacement bulbs, but you’re also helping to reduce landfill waste and protect the environment. - Projection screen size of 15-60 inches.